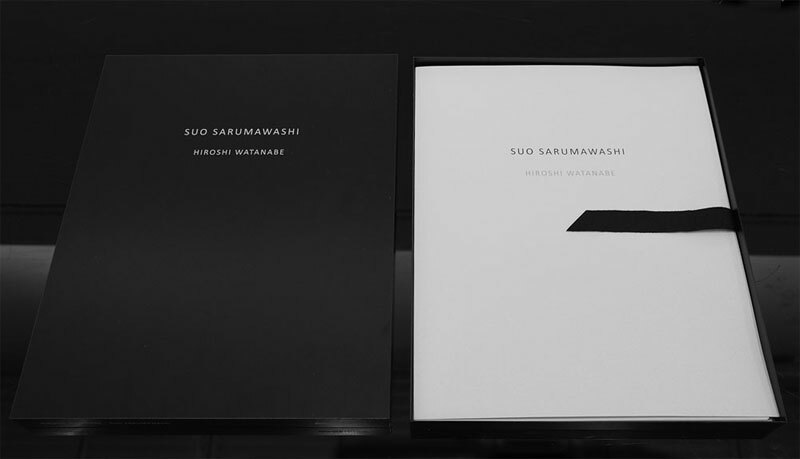 photo-eye is excited to announce the second publication of photo-eye Editions, Suo Sarumawashi by Hiroshi Watanabe. Sarumawashi, "monkey dancing," has been in existence for over a thousand years in Japan. Initially it evolved as a form of religious ritual designed to protect the horses of warriors. Later, it developed into a popular festival entertainment, with monkeys performing throughout the countryside of Japan. Sarumawashi ranks alongside Noh and Kabuki as one of the oldest and most traditional of Japan's performing arts. The highly trained monkeys perform acrobatic stunts and comedic skits and are beloved by those who witness them. Hiroshi Watanabe remembered these performing monkeys from his childhood and traveled to Japan to rediscover them. Rather than making pictures of the performances, Watanabe instead chose to produce this series of formal portraits made in a make-shift studio on location in Japan. 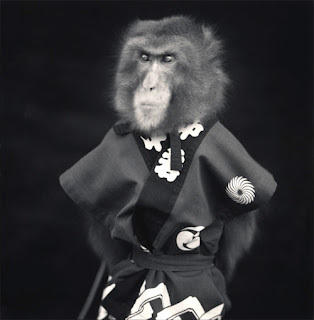 These pictures not only portray the monkeys with great dignity and respect, but are also a beautiful, quiet reflection of Watanabe's sensitivities and artistic soul. This stunning limited edition portfolio is comprised of twelve pigment ink prints chosen from Watanabe's series of macaque monkey portraits made in 2008 and includes text by Watanabe and an official introduction from the Suo Sarumawashi Association. 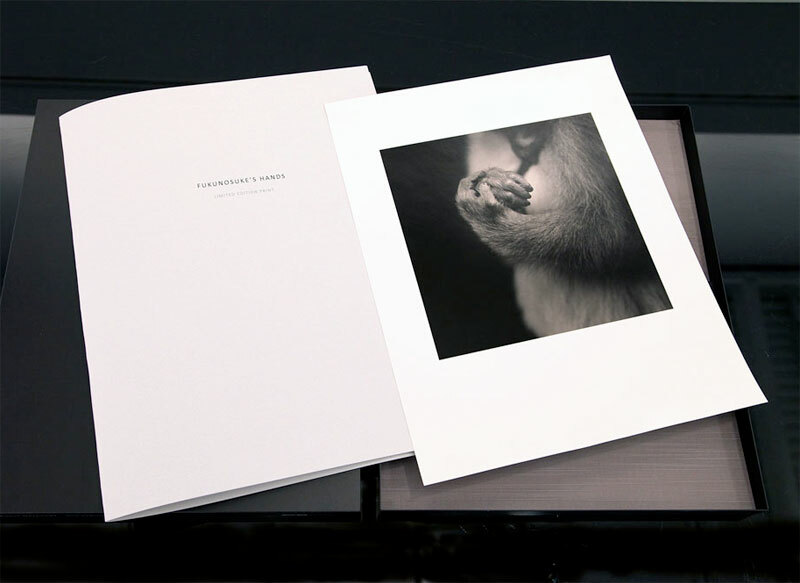 Limited to fifty copies along with three artist proofs, each is contained in an elegant anodized aluminum box. The pigment ink prints are made on 11x14 inch Hahnemühle photo rag baryta. The deluxe limited edition contains a thirteenth image, a gelatin-silver photograph, printed, signed and numbered by the artist. Limited to twenty copies and two artist proofs, the deluxe edition is presented in black anodized aluminum box. View the entire Suo Sarumawashi portfolio here. View additional work by Hiroshi Watanabe here. For more information on Watanabe's work contact photo-eye Gallery Associate Director Anne Kelly.